Brief refresher: in September 2012, Google acquired a company, Nik Software. Nik is now a Google subsidiary, but it still develops the software it made before the acquisition: Snapseed, a popular photo-editing app for iOS and Android, and Nik Collection. Nik Collection is today's focus. Google is taking the price down from $150 to the grand total of free. Google dropped the price from $500 to $150 when it acquired Nik three years ago, so this is a pretty good deal. The Collection is nothing to be sniffed at, either: it consists of professional-level filter plug-ins for Adobe products, including Photoshop and Lightroom, and Apple's Aperture. While I'm nowhere near a professional photographer, I'd imagine these being taken down to free is quite a boon for the photography community. What's more, if anyone has purchased the Nik Collection this year, they'll get a full refund. So, budding photographers: get downloading! 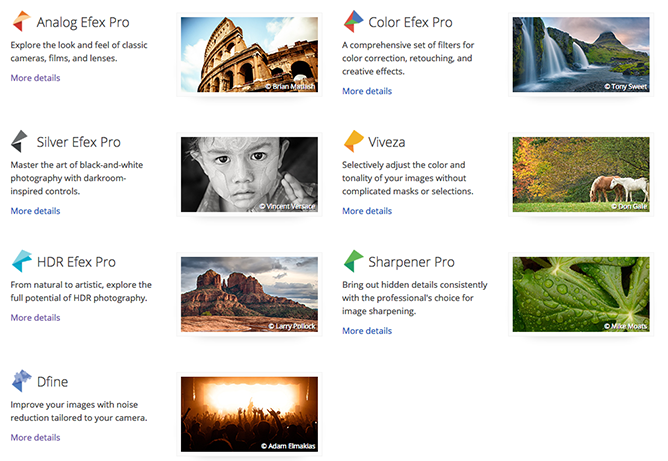 Google Nik Collection is available for download here, for OS X or Windows.